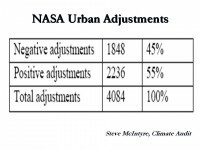 The urban adjustment is supposed to remove the effects of urbanization, but the NASA negative adjustments increases the urbanization effects. 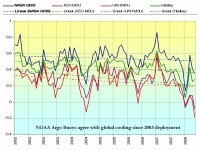 The result is that the surface temperature trend utilized by the International Panel on Climate Change (IPCC) is exaggerated. Satellite data is free of urbanization effects and provide truly global coverage continually. Previous problems with satellite drift affecting temperature calculations have been corrected. Newer satellites have station keeping capability and do not drift. The satellite data is much superior to land measurement. 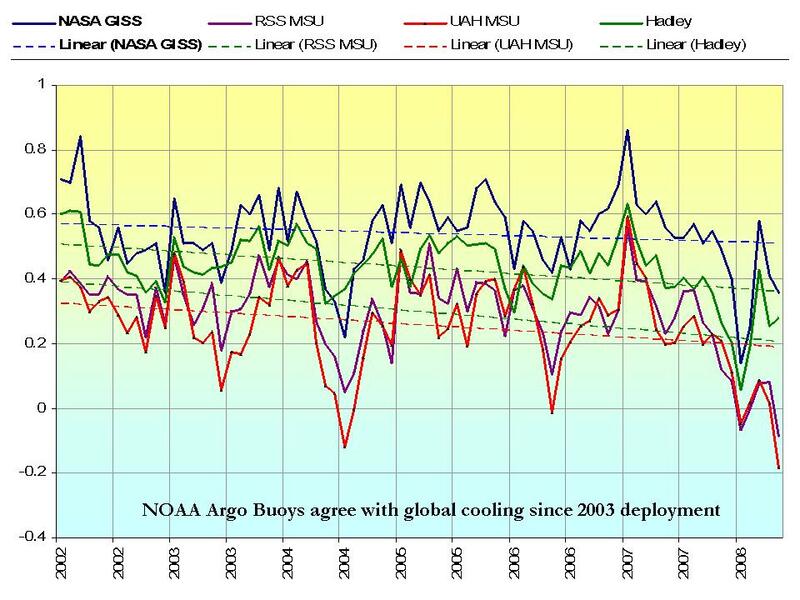 The satellite global temperature trend from 2002 to May 2008 is a decline of 0.25 Celsius per decade, significant global cooling for over 6 years. 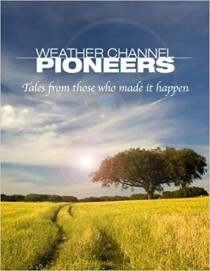 Read Ken’s full report here. 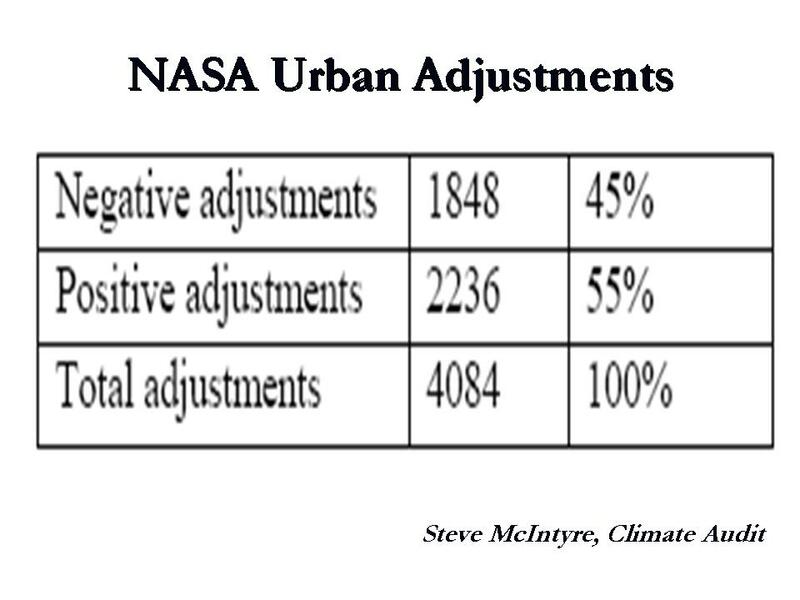 See this informative post by Steve McIntyre here on the NASA urban fiasco. Also other reasons why GISS is warmest here.